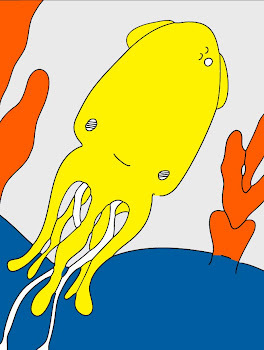 Technicolor Squid: The Paper Quilt Project. I am terribly honored and lucky (although un-deserving *smile*) to be an April participant in Dawn's beautiful Paper Quilt Project. I borrowed this scan of my collage from her flickr page. Thank you very much dear girl!! This post will be finished in just a little bit. Gotta order dinner! All right, where was I? Here is an in-progress picture. It is not very good and I planned to take a lot more, but once I really got started I completely forgot. 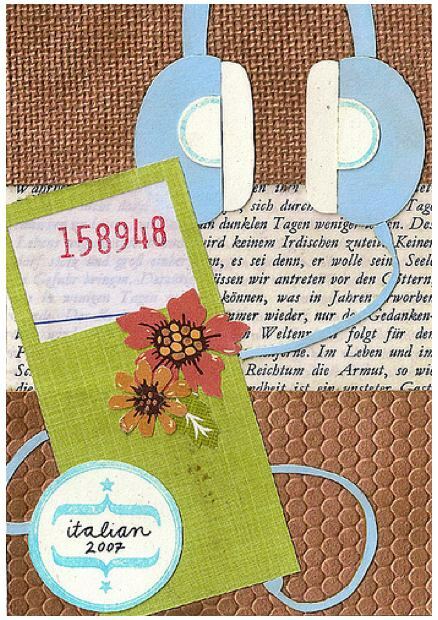 The other artists are totally incredible and I can hardly wait to see their collages (like lovely Lisa's). I don't know how Dawn thinks of these amazing projects, but I am very grateful and constantly in awe. Hugs. xox=vv. aw - i love it!